Mascara ! would you go out without it ? not me, I look like a newborn piglet without it, having been blessed with blonde eyelashes, the natural look on me is pretty scary.........who stole my eyes ? 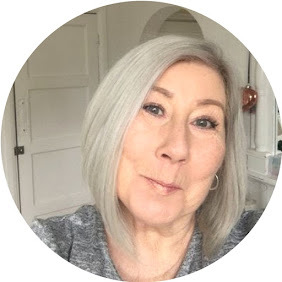 This New mascara Rebel Eyes about to be launched by Gosh Copenhagen really is pretty flipping fabulous, I am usually a two to three coat person, and often have to have a little clean up after being a bit cack handed. This black tube of gorgeousness only needs one coat, and comes with a fabulous eye shaped brush, which has amazing bristles that actually coat and separate in one fell swoop. It is a non waterproof formula containing Sea Buckthorn, the new miracle berry, full of amazing properties. I am incredibly fussy about mascara, and having tried brands in the £35.00 range I have been left disappointed and always returned to my usual high street brand, this was such a pleasant surprise, and to the point that any female that enters the house is literally forced to have a little try I am so impressed with it, no flaky bits falling on your face during the day, and no panda eyes in the evening.........key mascara elements in my opinion. This product will be available in February as it is part of the SS16 collection available at Superdrug. At the time of writing I don't have a price on this, but as with everything from Gosh I would imagine it to be incredibly reasonable price wise. Definitely worth checking out. There is a fabulous offer on at the moment with a free £15.00 palette with a £15.00 spend !